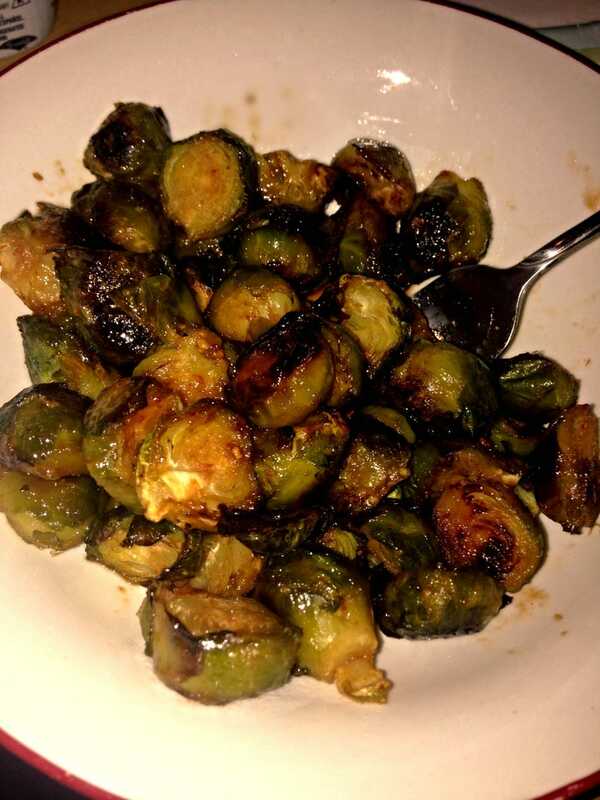 Brussel sprout update: delicious! Thanks for the advice! Also this is probably Martha Stewart level awful food photography but I was too hungry to wait!